Zombie International – an animated comic on the iPad, the very first of its kind! Experience a zombie comic never seen before. 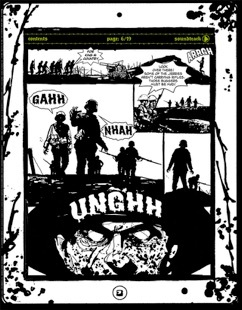 The first episode “All Undead On The Western Front” is coming to your tablet with 26 pages and 13 minutes of animated scenes, full of splatter and gore. Zombie International is an epic zombie saga that unfolds from episode to episode. 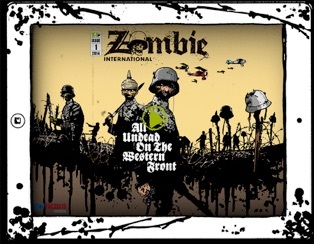 The first one “All Undead On The Western Front”is set during the First World War. Desperate to change the course of the war, the German high command ordered a platoon of men to be injected with chemically modified snake poison in the hope of them developing super human powers. However, instead, these guinea pig soldiers turned into zombies longing for human flesh and blood. Each following episode will take place in a different era, for example the ancient world, the Dark Ages and the 21st century.